My friend sent over her extra loot from Korea earlier this week. She gave me one pack of Innisfree It's Real Squeeze Mask in Green Tea and one box of Missha Magic Cushion SPF 50+ / PA+++. I immediately tried it and well, I really like it so I am sharing my review of the products today. 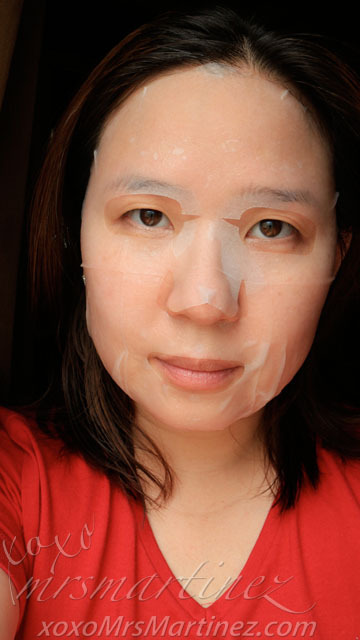 Take out the mask from package and spread evenly over entire face, avoiding eyes and lip area. Remove the sheet after 20 minutes and gently pat to allow remaining formula to absorb into the skin. For best results, use within 24 months from the manufacture date and use immediately after opening. 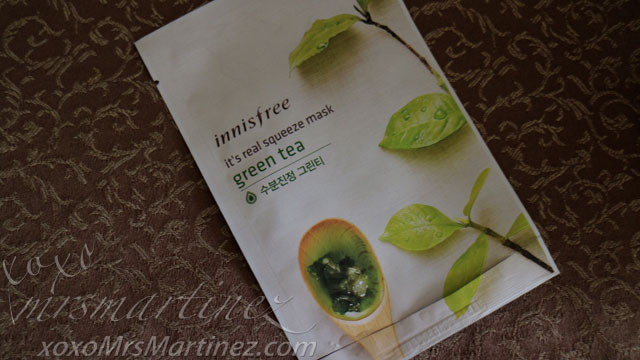 I really like Innisfree Mask because the paper sheet was so thin, I almost felt nothing was on my face. The size was just right to cover my entire face, there's no excess paper surrounding my eye area and all around the side of my face. It also has a silky feel to it. Contrary to what was written on the box, it does not have a perfect coverage. 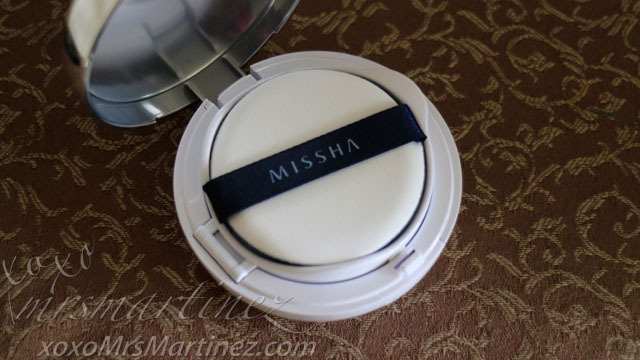 It has a very light coverage, I can still see my freckles under my eyes and on the sides of my cheeks. 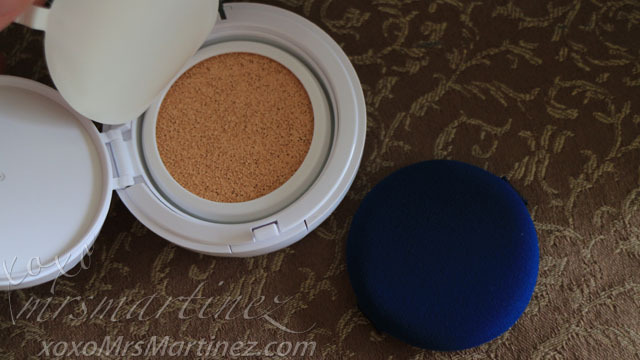 If you are acne prone or do not have a flawless skin, you will need to apply a powder foundation on top. I use it mainly as a sun protection because it has SPF50+. 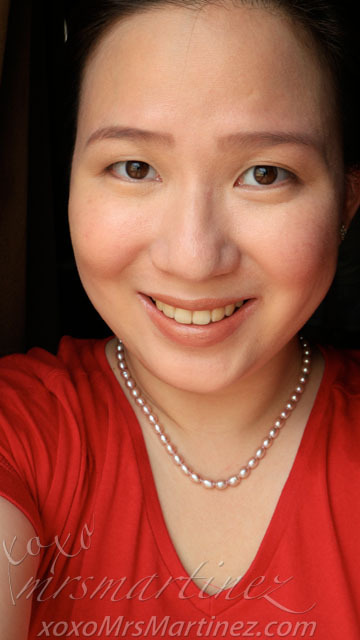 I apply it whenever I go out under the sun and wherever it does not require me to have a full on makeup like attending blog events and wedding parties. Unlike other lip liner or lip pencil, the texture of the tip of Essence is like that of a lipstick- smooth, rich & creamy. It was so easy to apply. 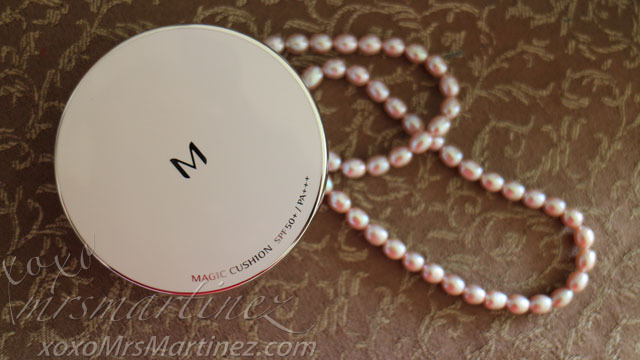 It glides well on my lips even without the use of lip balm prior to application. The color is very pigmented too. This is definitely a steal for Php 100! 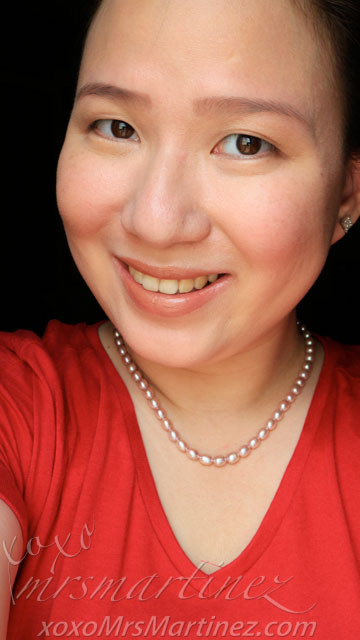 The pearl necklace I am wearing is from MyGold, a jewelry brand that sells beautifully-made pieces with great value for money. Aside from pearls, MyGold makes use of fine GIA certified diamonds with certificates for most of the jewelry that they sell. MyGold is located at the Branded Accessories Department inside SM Makati Department Store.